Our driver will receive you from the Guwahati Airport/ Railway Station. He will then drive you to for Nameri National Park which is 3 hours from Guwahati. Nameri is famous for its elephants and other animals including tigers, leopards, gaurs, wild pigs, sambars, etc and also for being a bird watchers paradise. You stay in Nameri National Park will be in Nameri Eco Lodge. In the morning we go for rafting in the Jai Bharali River. The rafting route is 13 km long and takes about 3 hours. A great, tiring and enjoyable experience. After lunch, we leave for Dirang, which is 140 kilometres away. You will check in to your hotel in Dirang. We drive to Tawang, which is 160 kilometres from Dirang. On your way to Tawang, you visit the famous Sela Pass, Jaswant Garh and Nuranang Waterfall. You will check in to your hotel in Tawang. 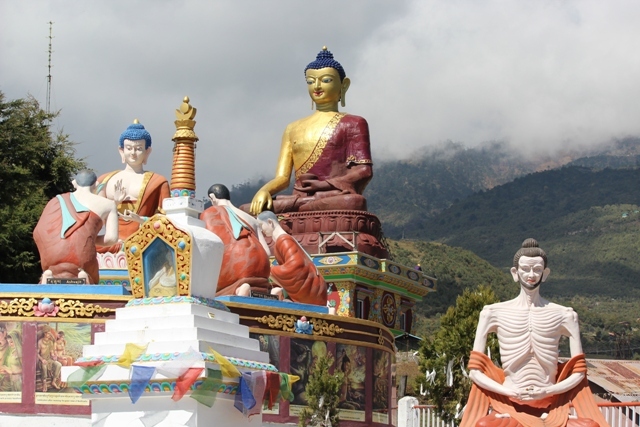 We spend the entire day visiting the Tawang Monestery and various other places in and around Tawang. Your stay will be in the same hotel in Tawang. After breakfast, we leave for Madhuri Lake. The Pictureque Lake is locally known as the Sangetsar Lake. From there we visit the Indo-China border at Bumla Pass. The Pass is locted at an altitute of 15,200 feet. We drive back to our hotel in Tawang. Today we drive to Bomdilla. On our way back to Bomdila we visit the hot water spring in Dirang. We spend the evening visiting the various tourist attractions in Bomdilla. After breakfast, we drive you back to Guwahati and drop you at the Airport/Railway Station. Tawang Monastery, Ani Gompa, Buddha Statue, Birth place of 6th Dalai Lama, Tawang Market, Bomdila Monastery, Hot water spring, Sela pass, Jaswant Garh, Nuranang Waterfall, Bumla Pass, Madhuri lake, Handloom store in Tawang, War memorial, Stupas in Tawang.